Colorado Springs isn’t a place I go to often. Until recently, I think the last time I was there was around 6 or 7 years ago. 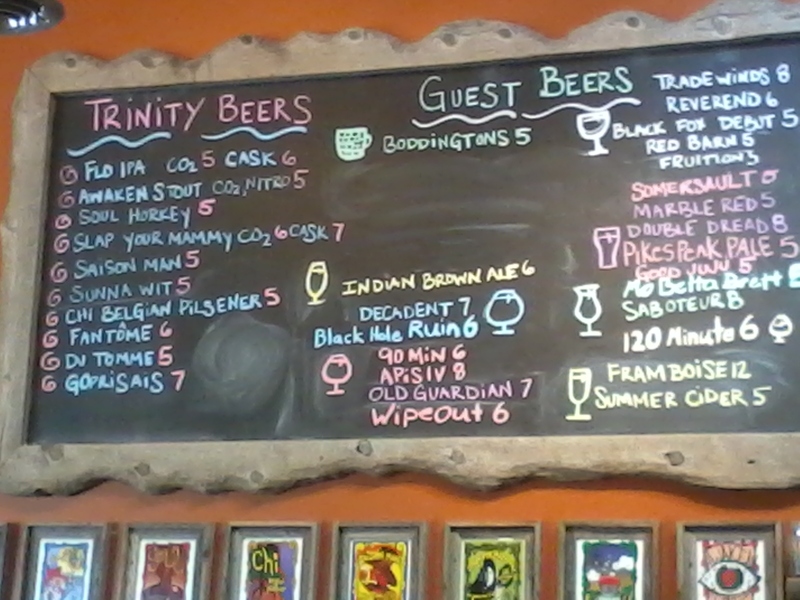 But I heard so many great things about Trinity Brewing, I decided to make a trip down there. I had the day off so I figured I’d be a tourist in my own state for an afternoon, as Colorado Springs is good for that sort of thing. But I knew I’d need some fortification to start my adventures, so stop number one was Trinity. 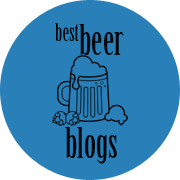 Not surprisingly, I scanned the beer menu for an IPA–I chose Flo, their standard IPA. While it was also available as a cask, I chose the regular kind as I like my beers on the cooler side. I thought the Flo was an extremely tasty IPA. I sipped on that while browsing the food menu. I’d been told Trinity has a large selection of vegetarian and vegan items, so I was just as excited to try their food as I was the beer. It’s not often I mention food in my blog, but I was really impressed with what they had to offer. I decided upon the Belgian Fries with Flo Beer Mustard and Wasabi for dipping. The beer mustard was quite different from any I’ve had before, as there seemed to be a lot of horseradish in it–and I’m not complaining! I also had the Seitan Buffalo Wings, with sweet and spicy sauce, and peanut sauce for dipping. YUM! They weren’t formed into the shape of actual wings but were small chunks on a skewer, which is preferable. I am vegetarian but lately I’ve been trying to cut out as much dairy as possible for health reasons, so it was wonderful to have such a great meal that still fit into my dietary restrictions. There are many other things I’d like to try, such as the Seitan Gyros, Soul Gouda Soup, and Poutine Frites. For my next beer I picked the Slap Your Mammy Double IPA (shocking, huh?!) Weighing in at 12.5% ABV, this isn’t for the light drinker. It was amazing! The Flo was really, really good, but this was even better. One of the best Double IPAs I’ve had in a while. I wish I could get more without driving clear back to Colorado Springs! 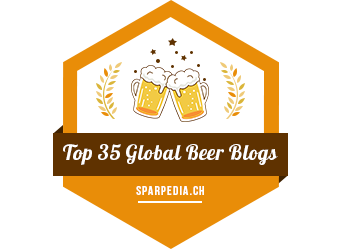 Perhaps they’ll bring that one to GABF…I can only hope. 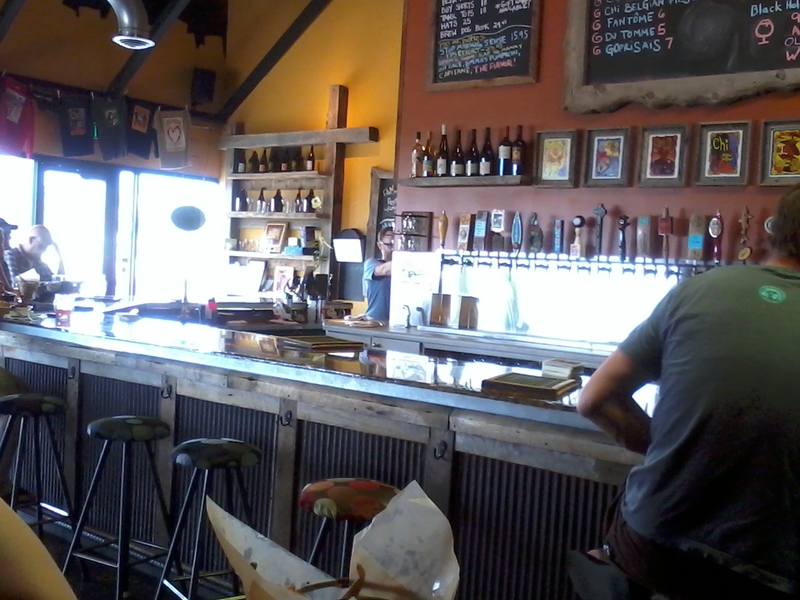 Trinity is a nice little place; I enjoyed hanging out in their clean, bright taproom and their beer and food were fantastic. I am so glad I was finally able to check it out. 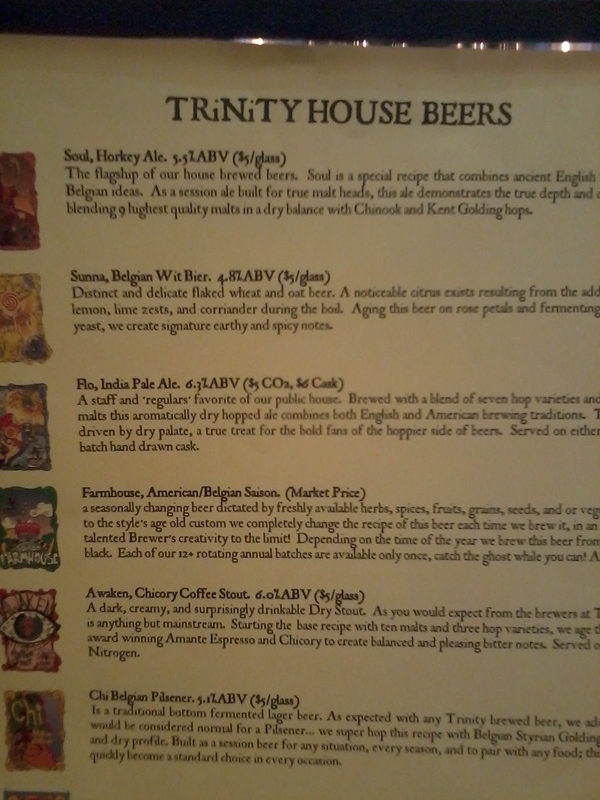 I highly recommend paying a visit to Trinity Brewing if you’re in the area, or even if you’re not so close but feel like getting out for the day. You will not be disappointed! Previous Post Mile High Spirits: No beer, but you should go here! 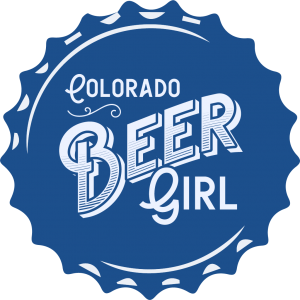 Next Post One Month to GABF!!! Your 2011 Favorites? Trinity makes some good beer. Go check them out.